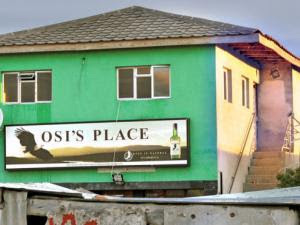 Western Cape Liquor Act – The hearing of the liquor licence holder of Osi’s Place – a Khayelitsha tavern – by the Western Cape Liquor Licensing Tribunal has been widely reported in all media. The emphasis in reports have rightly focused on the death of eight women, as well as the probability of the liquor licence in question being cancelled. The effect of the evidence led in the hearing is, however, likely to have a much more lasting effect on liquor licence compliance in the Western Cape than the initial uproar. Liquor licence holders can expect designated liquor officers (DLO) throughout the Western Cape to be under a lot pressure to ensure a high level compliance to their liquor licence conditions. The view is that neglect to enforce compliance of seemingly less important conditions typically lead to non-compliance of more serious conditions. This follows the DLO’s alledged lack of action in case of minor transgressions over time in the case of Osi’s tavern. A common theme of dangerous situations is overcrowding. It can therefore be expected that municipal authorities will be asked to assist by clamping down on liquor licence holders who do not comply to municipal by-laws, especially those relating to the issuing of population certificates and safety of crowds. The message to liquor licence holders is clear – ensure you comply to your licence conditions or face the possibility of harsh penalties.